Discos and pubs, Casinos, cinema and theatres, internet, Bars & cafe. Peruvian food, sea food, pizzas, cafes, chinesse food, grilled meats, international, cafes, organic. handicrafts, jewelry, books, antiques, paintings, electronics, clothing, decoration, fashion. 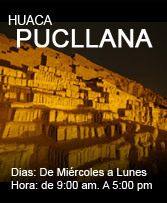 travel to Lima, travel to Peru, travel World, Tourist transport. Among the main tourist attractions to be found in Miraflores are the Huaca Pucllana, Kennedy Park or Central Park of Miraflores, seawalls, Larco Mar Mall, the Avenue of the Pizzas, "Milagosa Virgin" Church, Love Park; besides beautiful parks and gardens, excellent rooms and art galleries, restaurants, cafes, casinos, nightclubs, hostels, backpackers, travel agencies, exchange offices, gyms, beauty salons, plastic surgery centers and dental etc.